After four different versions of Trumpcare, it’s clear that Republican calls to repeal and replace the Affordable Care Act were about politics and not increasing access to affordable health care for all Americans. The latest version of Trumpcare spikes costs and strips coverage for millions of people in our country. The revised Senate bill released last week isn’t a health care bill, but a massive tax giveaway for millionaires, billionaires, and big corporations. Republicans like Senator Ron Johnson, Governor Scott Walker, and Senator Leah Vukmir’s support for Trumpcare shows they want to take us back to the days when big insurance companies made the rules, costs were sky high, and Wisconsinites went uninsured. Democrats will continue the fight to protect health care for hard working families in our state. In 2018, the voters will choose progressives who stood up to protect their health care. Wisconsin Is Fired Up For Sen. Tammy Baldwin! 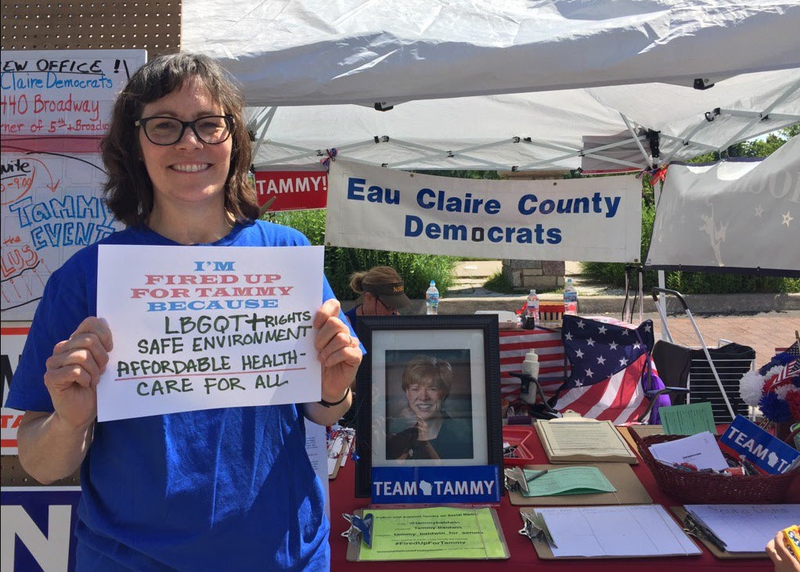 Last Saturday, I joined grassroots activists all over the state to show our support for Wisconsin’s favorite Senator, Tammy Baldwin. It was a wonderful day of barbecues and house parties all across Wisconsin. Together, we showed the strength of Team Tammy in all corners of the state. Of course, we took the opportunity to canvass communities and make calls around stopping the repeal of the Affordable Care Act. Legislative activity remains at a standstill as Republican lawmakers continue to struggle with a state budget that is now two weeks overdue. According to the National Conference of State Legislatures, Wisconsin is now one of only three states in the U.S. with a late budget. While Gov. Walker and Legislative Republicans continue to hold a series of closed-door meetings, little progress has been made to fund schools, road projects, and other key state priorities. The budget-writing Joint Finance Committee hasn’t met publicly for one month as Republican infighting derailed the committee process and caused the state to miss its July 1st budget deadline. As the budget delay continues, schools and communities will face greater uncertainty over their local budgets and important construction projects. View all of the previous motions and votes on the state budget by visiting the Legislative Democrats website. Last week, I lamented Speaker Paul Ryan’s unwillingness to hold in-person town halls in his district. Luckily, people like Rep. Mark Pocan are getting on the road and holding town halls in other districts. Pocan visited Elkhorn and Racine for two town hall events last Saturday. Early last week, another progressive candidate formally entered the race for Governor. Milwaukee’s Andy Gronik made a formal announcement last Monday to launch his campaign. The announcements come after Bob Harlow and Ramona Whitetaker have already registered to run as Democrats. In an interview with the Associated Press, Andy describes himself as a “progressive businessman” who is motivated to run for office because of the many struggling families all around the state who “can’t stand up and defend themselves. I’m very excited to see more progressives making formal announcements to run for governor next year. I have great confidence in our primary process to elect the best candidate possible to beat Governor Scott Walker and restore Wisconsin’s once proud progressive traditions. Stay tuned to this weekly update for more formal announcements. The DPW’s Candidate Services Department has been working to improve the resources available on the Party’s website for both candidates and their campaign teams. These resources include: a sample campaign plan that candidates can use to plan their own races – state and local candidate handbooks that provide a comprehensive overview of what a campaign for public office entails – a VAN manual and video tutorial to make our voter database more accessible – our door card template program, which provides candidates with a high-quality door card design at no cost – a webinar on how to earn media from state and local press – a guide on how to deliver a strong, values based message by communicating through stories – and much more! To access these materials, please email Brian Evans, the Deputy Candidate Services Director, at BrianE@wisdems.org. 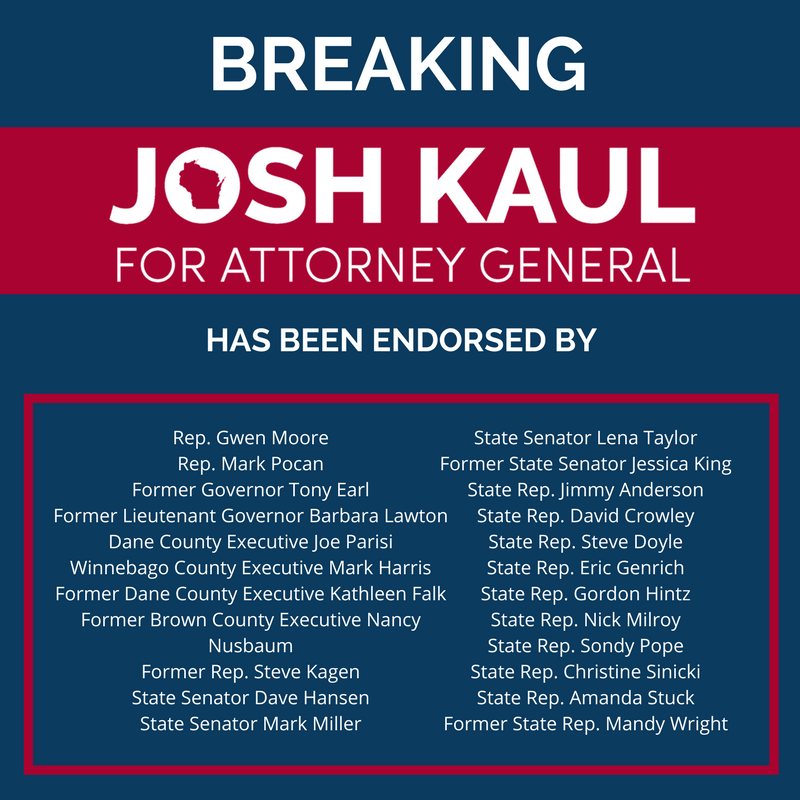 In this email, please include your name and the county you live in. Senator Chris Larson (D – Milwaukee) offered the weekly Democratic radio address last week. “Hello. This is Senator Chris Larson. “All eyes these days seem to be on Washington and the Republican attempts to undermine health care, but it’s important to keep an eye on our ow backyard here in Wisconsin, where Republicans still can’t agree on a 2017-2019 state budget. “Under Wisconsin law, we do budgets that run for every two years, and it must be enacted by July 1 in odd-numbered years. If you’re looking at a calendar, you’ll likely notice this means the Republican majority is already two weeks tardy in getting its budget passed. “This failure to lead has a cascading effect across the state. Right now, local communities and school districts are stuck, waiting to find out how much state aid they’ll be allowed to receive and what might be cut so they can balance their own budgets. In particular, it’s difficult for each of our local schools to forecast their budget for the upcoming school year which will determine how many teachers they can afford to keep on. “After years of ‘invite only’ town halls and governing, Republicans are at an impasse. It turns out; they’re unable to get to a budget that satisfies all the special interests that are clamoring for their piece of a $76 billion pie (the most spending of any budget in state history). The biggest topic is how much more transportation debt to pile on as they kick the can down our crumbling, pothole covered roads. “Our neighbors deserve to have a budget that works for them, not one that just caters to the big-money special interest groups that have stacked the deck in their favor. “Democrats, meanwhile, have put forward several ideas to ensure our budget is balanced and supports Wisconsin working families by leveling the playing field, restoring the much-needed funds that have been slashed from our kids’ schools the last few years, and by creating common sense paths to economic security. 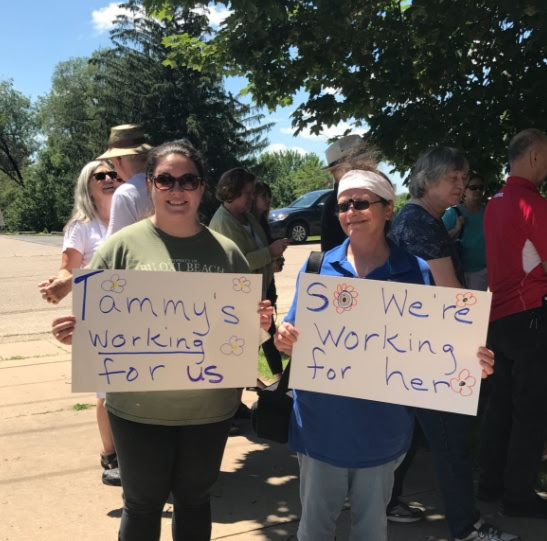 After spending much of the July Fourth recess speaking with constituents, Tammy Baldwin, D-Wisconsin, praised Wisconsinites’ reaction to the Senate health care bill. “I have never seen or experienced such engagement on the part of constituents, laser-focused on the harm that this Senate Republican repeal bill would do,” Baldwin said Tuesday. Sen. Lena Taylor, D-Milwaukee, called for “drastic” changes to Wisconsin’s juvenile justice system. Taylor’s calls for reform follow a federal judge’s ruling that the state must reduceuse of solitary confinement and pepper spray at Lincoln Hills School ofBoys and Copper Lake School for Girls.